Severn House Publishers, 9780727886828, 208pp. Blackie does not trust Care's new client, factory owner Mr Gravitz, who has hired the young PI to shadow one of his workers, a man he suspects is stealing from him. With his feline sixth sense, Blackie knows the client is not telling the truth - but how can he protect and warn his companion, Care, when he is only a cat? 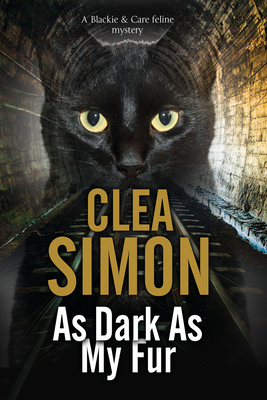 Combining elements of feline fantasy and traditional whodunit, As Dark As My Fur continues the adventures of this original and unusual detective duo: two small creatures in a nightmarish urban landscape, fighting for their lives and for the memories of those they love.